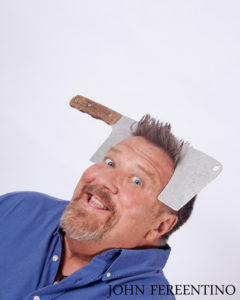 New York comedian John Ferrentino's career has span over forty years. He is an inventor of illusions and a true pioneer in the field of stand up comedy magic. John has appeared on over fifty television shows including HBO, VH1, SHOWTIME, A&E and the COMEDY CHANNEL and was a regular guest on FOX’S COMIC STRIP LIVE for five years in addition to performing as the opening act for Crosby Stills and Nash. John has performed around the world on every major cruise line. He is also a regular performer at the world famous MAGIC CASTLE in Hollywood. To See a full list of appearances, click here.